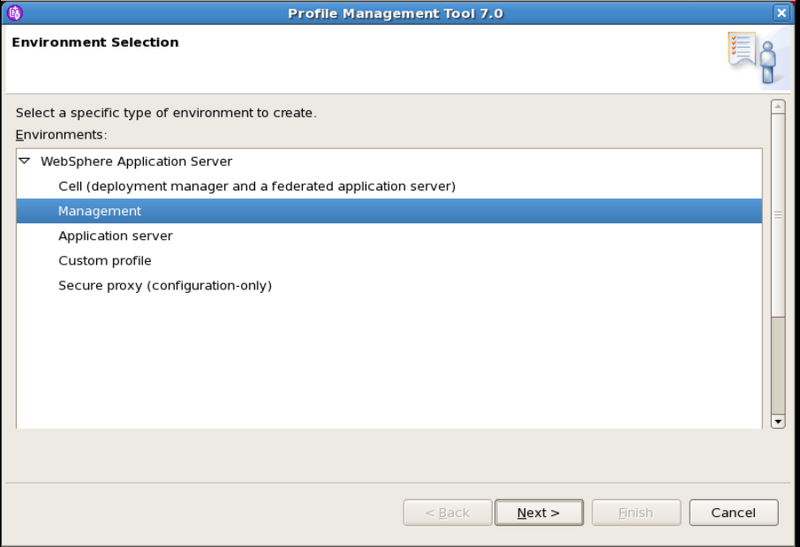 For this exercise a shared filesystem will be created using NFS 4 on which the dmgr profile will be created. 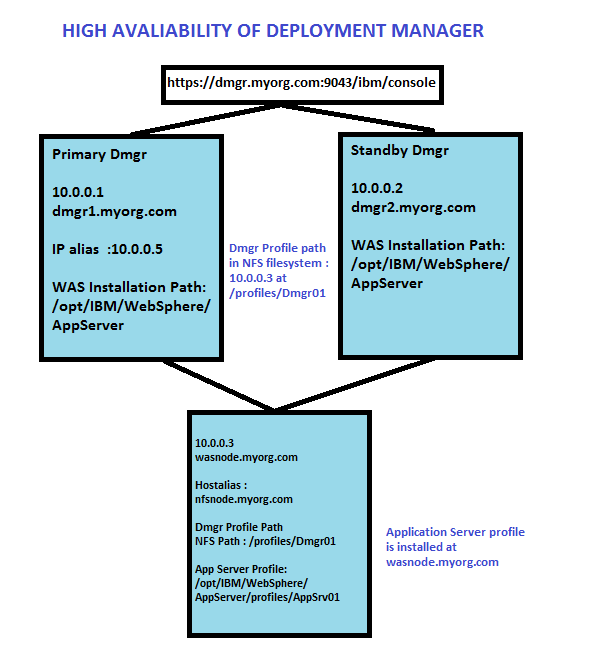 This filesystem would be mounted on both the Primary and secondary dmgr servers. 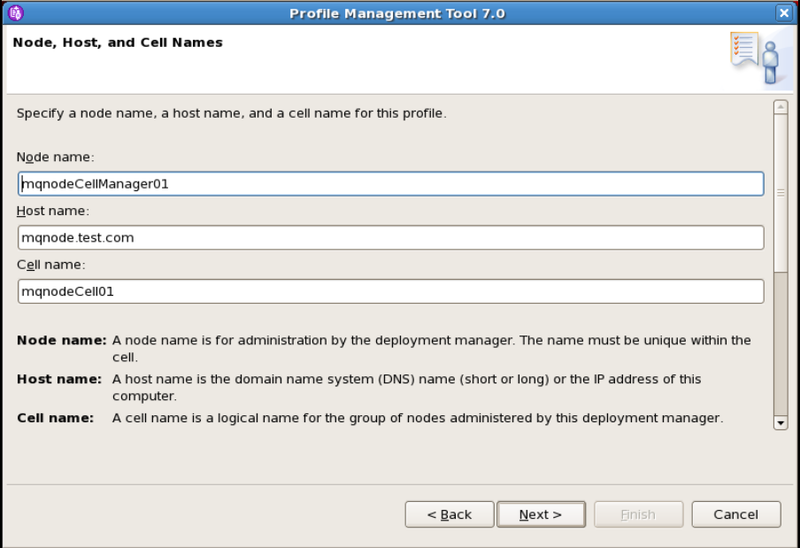 The Ip alias will be active only on one Dmgr at a time either primary or standby depending on the situation of failover or failback. 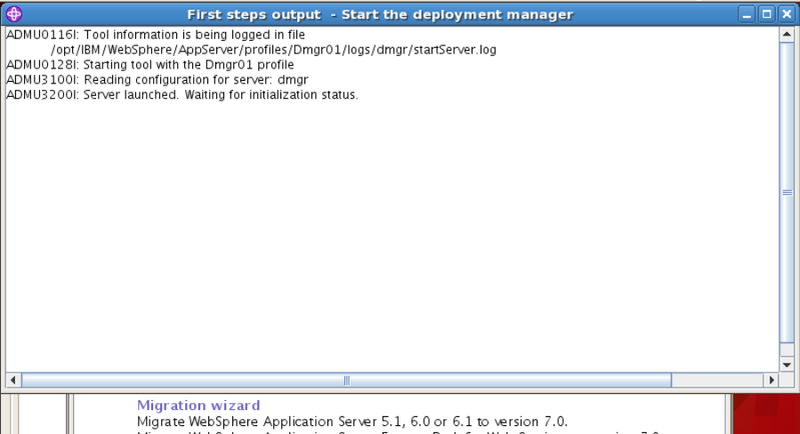 The dmgr process will be running on the node which hosts the ip alias . 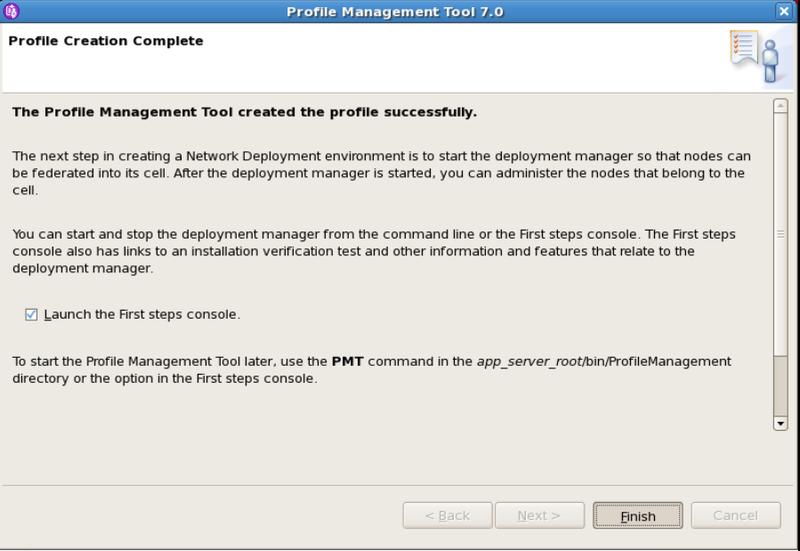 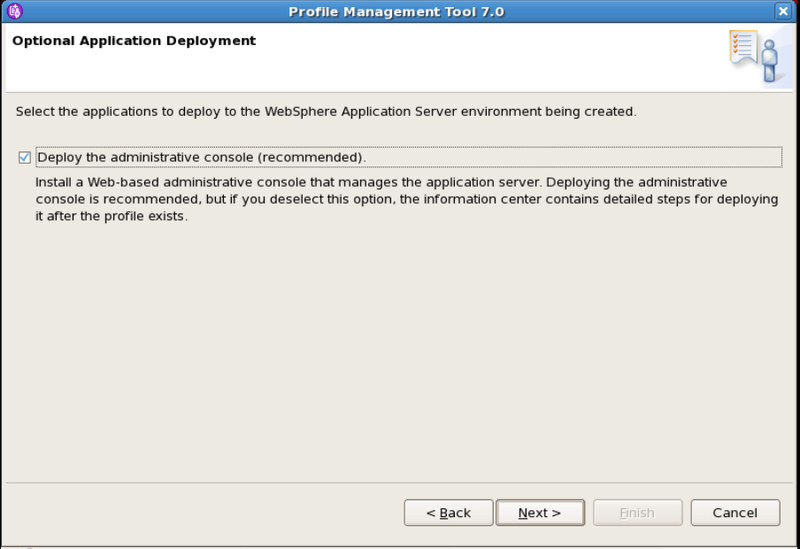 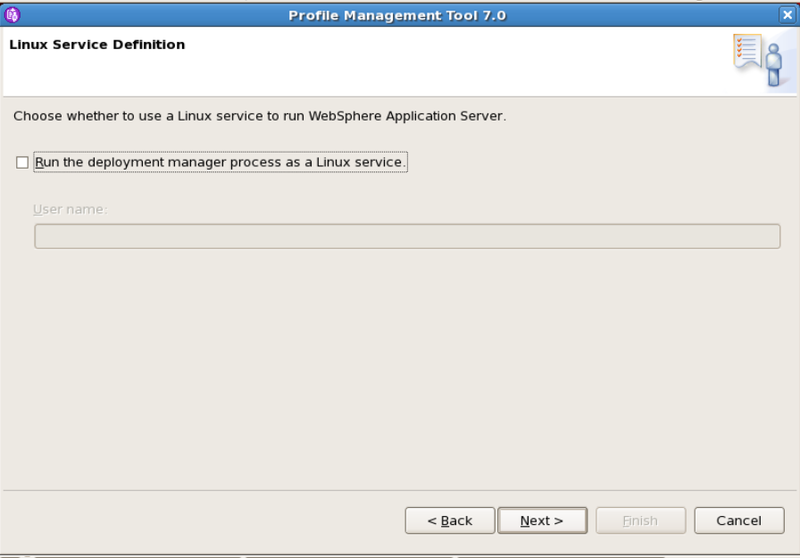 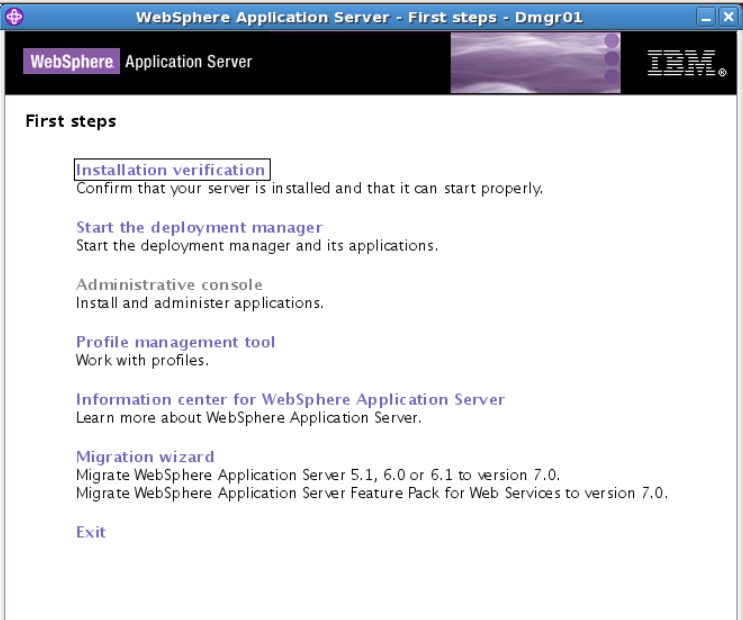 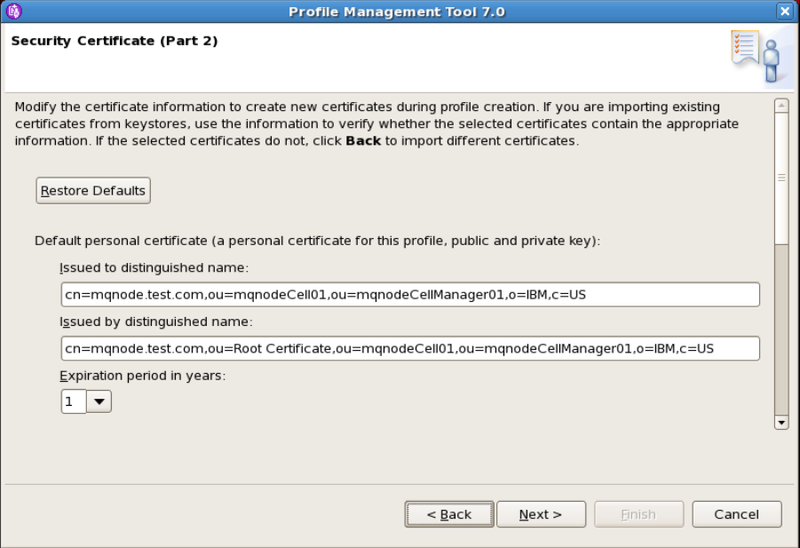 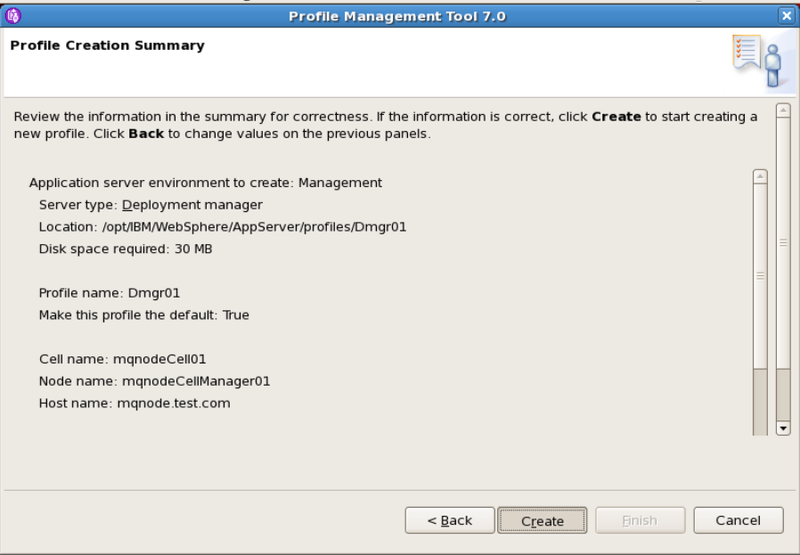 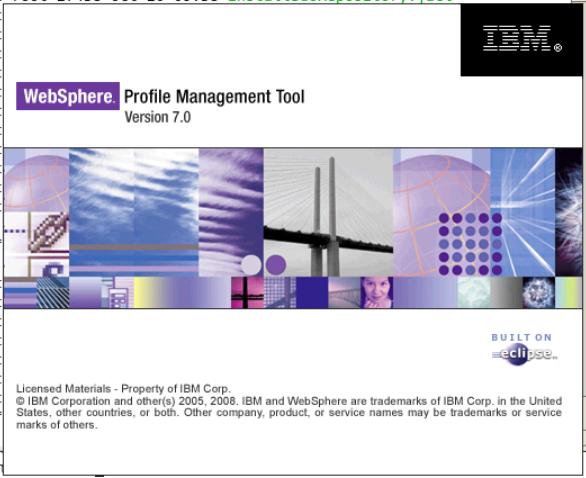 After installing the core Websphere product files for the product, you must create a profile. 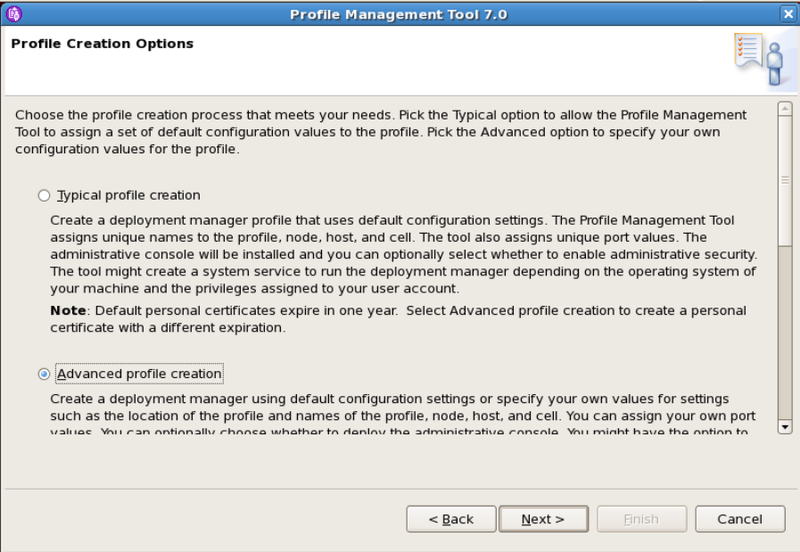 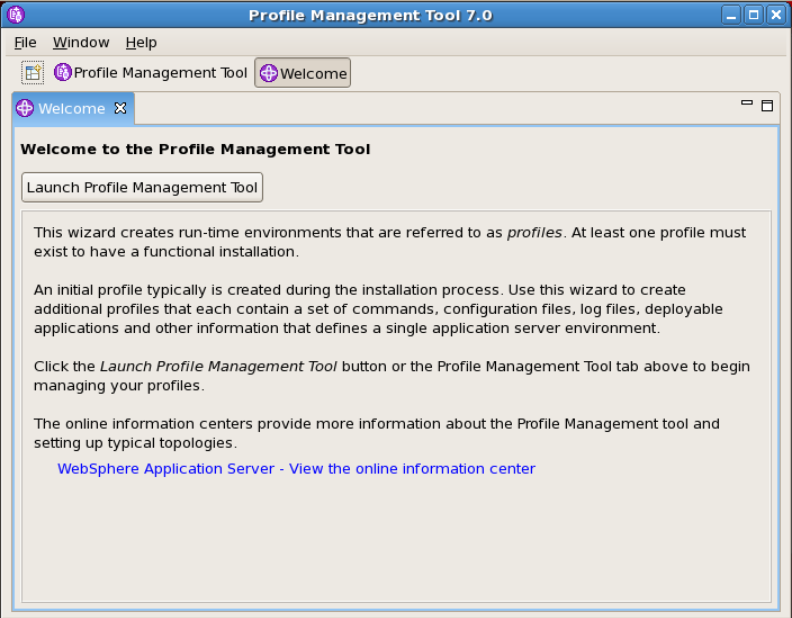 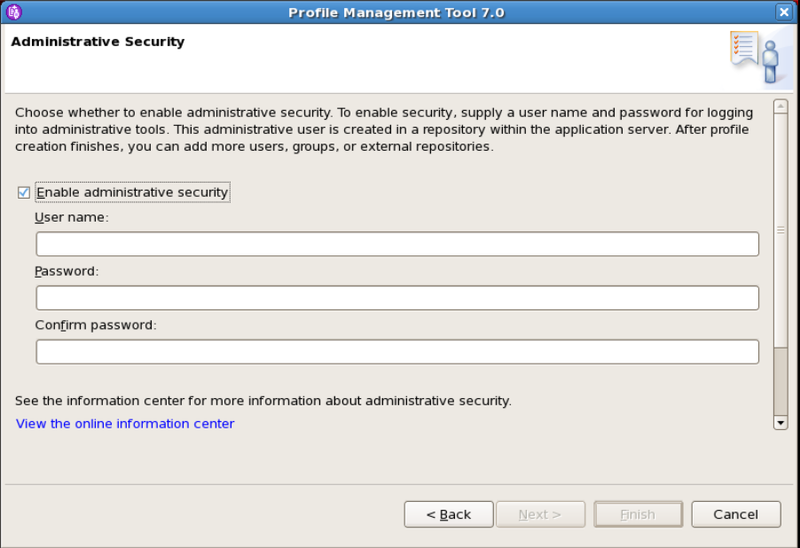 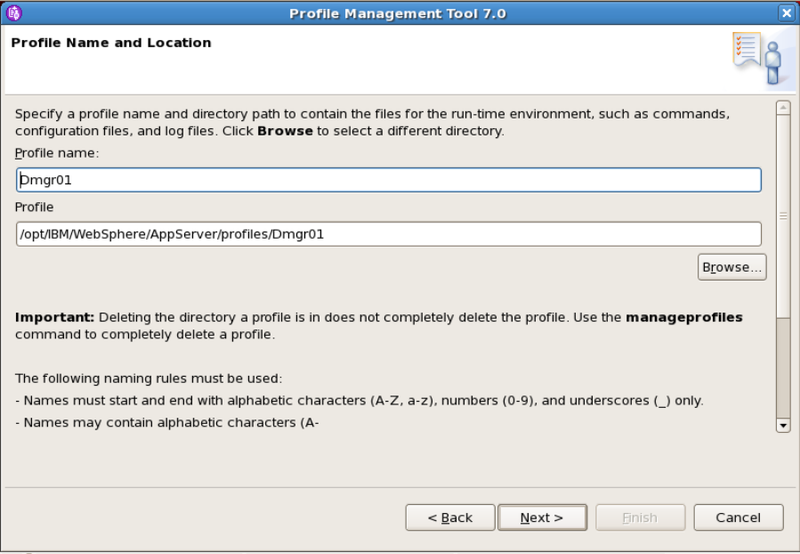 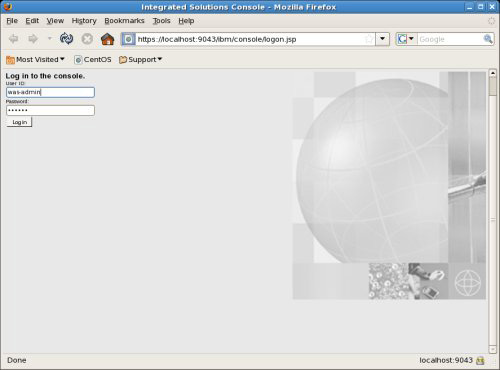 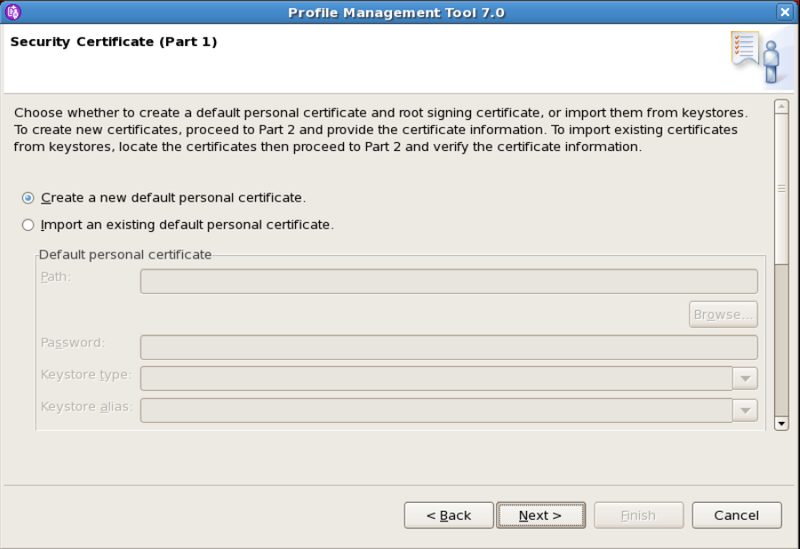 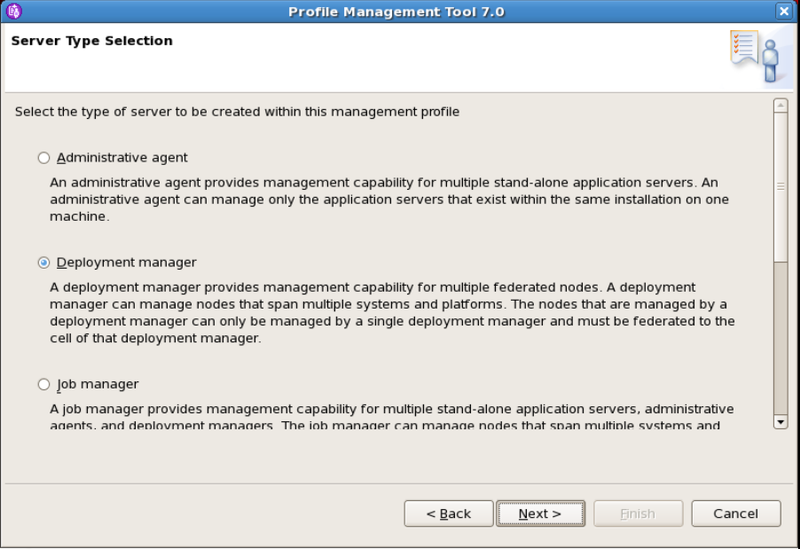 a) To create the profile you can use the graphical user interface tool that is provided by the Profile Management Tool. 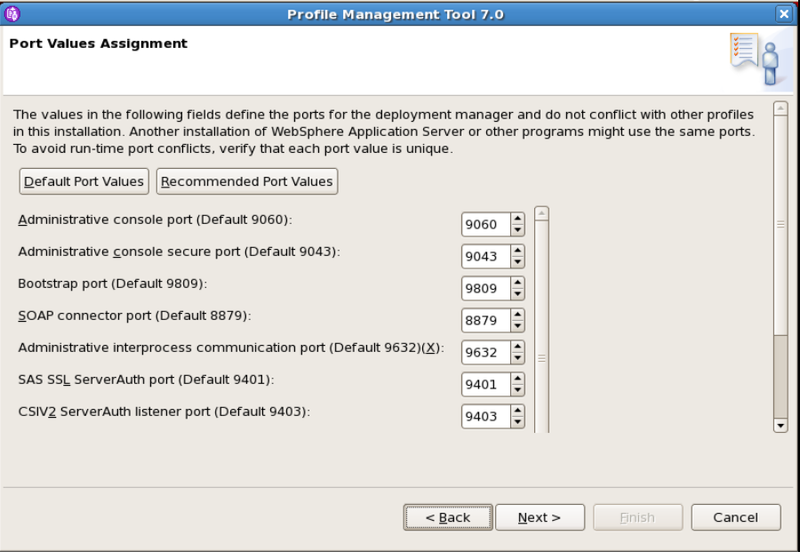 We will select the “Advanced profile creation” as we will be able to customize the path, cell names, ports etc. 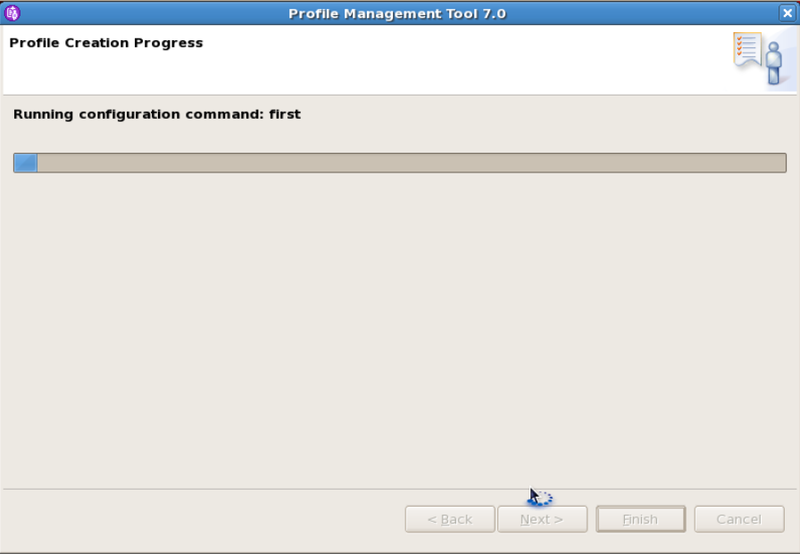 If the profile creation is sucessful the message will be displayed .